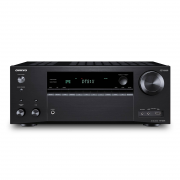 The Onkyo HT-S7800 package includes a powerful A/V receiver loaded with features you need for memorable entertainment every night: high-current amps, Dolby Atmos, DTS:X, 4K/60 Hz/HDR video, and FlareConnect audio transmission from the receiver to an optional speaker in another room (via firmware update). For music, there’s Chromecast built-in (via firmware update), AirPlay, and Wi-Fi to stream albums from smartphone and PC apps.The high-quality speaker system is a snap to set up, with AccuReflex phase-aligning object-based formats for super-clear multidimensional sound. 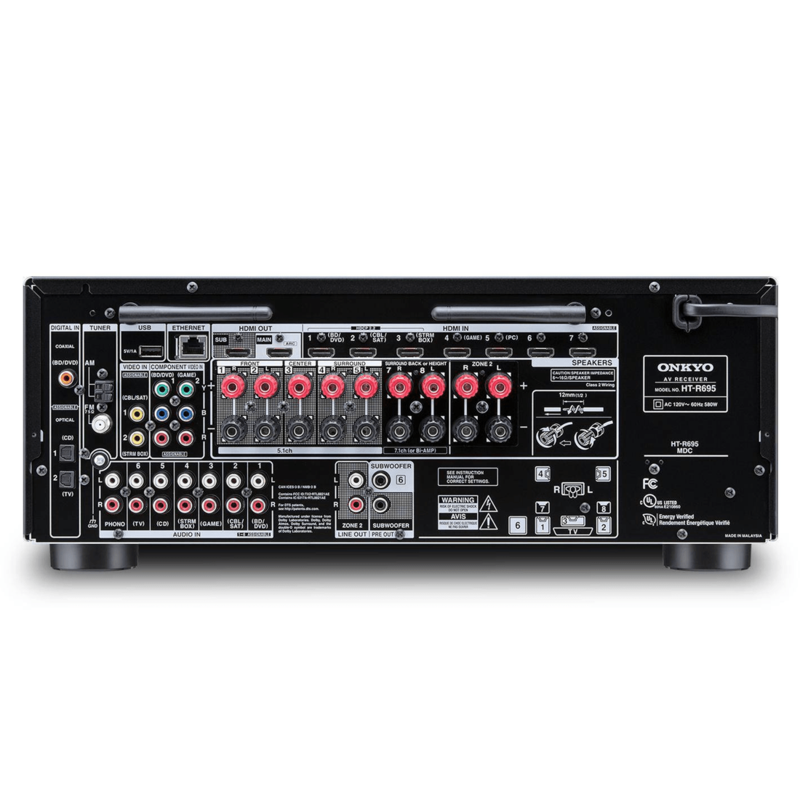 Backed by 70 years of experience building high-grade audio components, the Onkyo HT-S7800 amplifies accurate, noise-free signal processing with high-current power for dynamic speaker control. The result is pure, rich and authentic sound. Onkyo’s dynamic audio amplification delivers massive power at 170 W/Ch (6 Ohms, 1 kHz, 0.9% THD, 1 Channel Driven)/ 100 W/Ch (8 Ohms, 20 Hz-20 kHz, 0.08% THD, 2 Channels Driven). 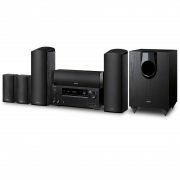 The Onkyo HT-S7800 Powered Zone 2 brings audio to speakers connected to the receiver into a second room. With the dedicated Zone 2 DAC, you can send internet audio and digital audio sources connected via coax or optical (such as Apple TV) to your second listening zone. Dolby Atmos moves sound around you in three-dimensional space, so you feel like you’re inside the action. 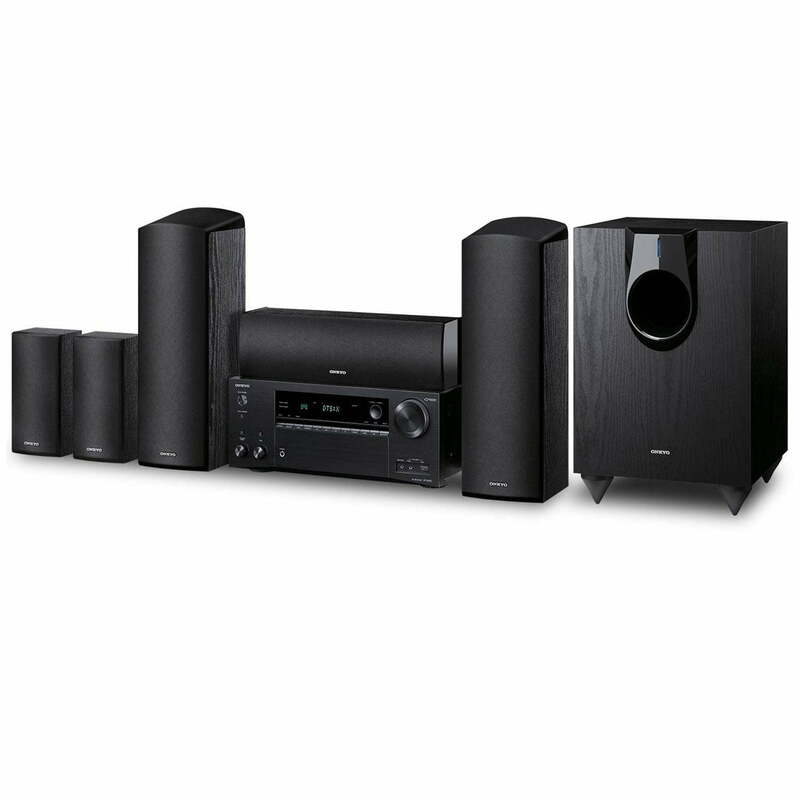 The Onkyo HT-S7800’s Dolby Atmos decoding transports you from the ordinary into the extraordinary. 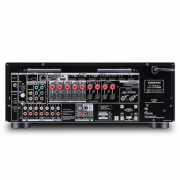 Stream any music from your smartphone, laptop, or PC to the HT-S7800 with ease. Control playback with Chromecast enabled apps you know and love from your iPhone, iPad, Android™ phone or tablet, Mac® or Windows® laptop, or Chromebook™. 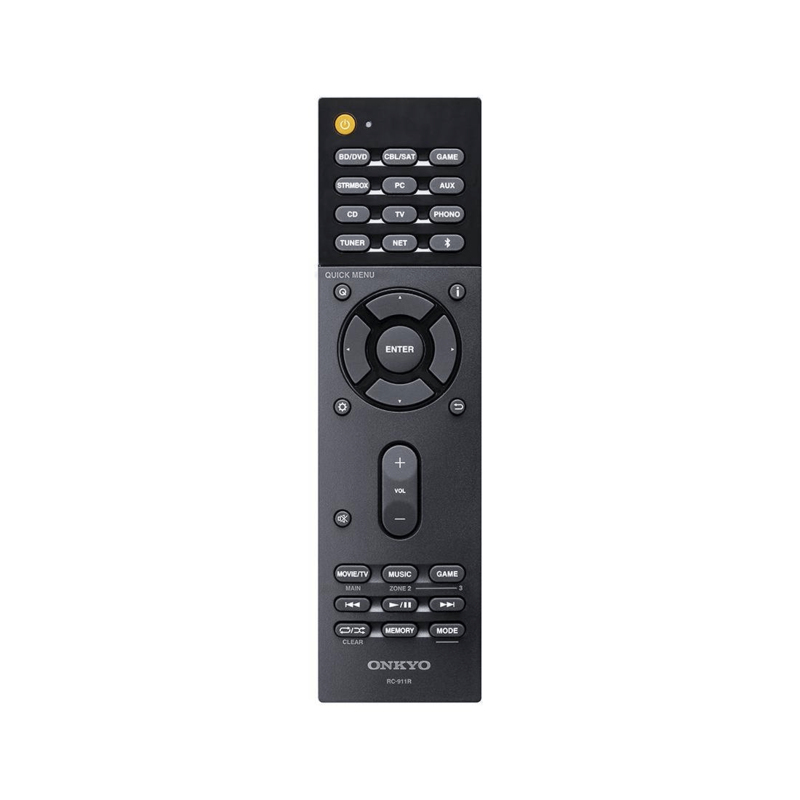 Seven rear HDMI® inputs (HDMI 1-7), Main Out, and Sub Out support pass-through of HDR10, Log-Gamma), and Dolby Vision*; the BT.2020 4K color standard; 4K/60 Hz video playback; and HDCP 2.2 for premium video content. Front HDMI terminal is ideal for temporary device connections. *Dolby Vision is supported through inputs 1-3 and is expected via future firmware update in late December. No matter what you’re listening to, it will sound powerfully full, clean and clear. A premium-quality AK4458 digital-to-analog converter from Asahi Kasei implements unique low-distortion filtering technologies for clear sound, and unlocks the full potential of any audio format, including compressed, lossless, and hi-res audio (MP3, WMA, FLAC, WAV, OggVorbis, AAC, Apple Lossless, DSD 5.6 MHz, LPCM, and Dolby TrueHD). AccuReflex technology aligns the phase of up-firing “height” speakers with the sound coming directly from your other speakers. Any delay is resolved so that everything arrives at your ears at the same time. The result is cohesive reproduction of object-based soundtracks.